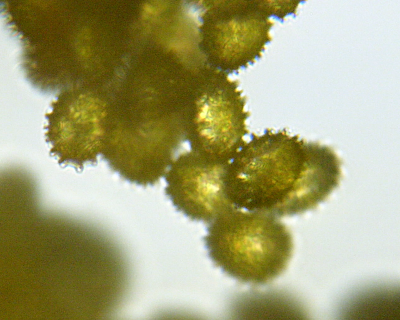 Goldenrod pollen under a microscope. 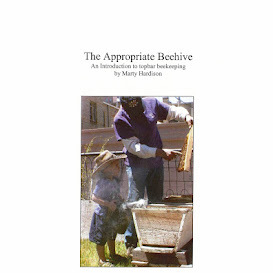 Bee Culture and American Bee Journal are the two primary magazines for beekeepers in the US. They are not sold on newsstands, so I paid for subscriptions. Once a month, they arrive in my mailbox within a day or two of each other and I eagerly read them both. My brain is hypersensitive to all manner of sensory inputs, and initially they both urked me with their plethora of spelling and grammatical errors, and just poor editing. The content of the magazines is good, though. Both try to serve commercial beekeepers as well as the surge of new hobbyists, and it makes for a good mix. The topics covered are similar, so much so that there is one story that appears in both titles this month. Having decided that they are too similar to subscribe to both, I am unable to pick which one. I need your help. I'm going to tell you what I like/don't like about each, and if you subscribe I want to know what you like/don't like. "The Inner Cover," Kim Flottum's editorial column each month is usually pretty interesting, and he's even mentioned his Top Bar Hive once or twice, but Catch the Buzz is just as interesting and free. (Bee Culture's blog seems to have fallen by the wayside, but it's worth adding to your Feedly or Flipboard.) The closing article of the magazine each month, "The Bottom Board," is by Ed Colby. He keeps bees on Aspen Mountain and while that may be a few hours from here, it's still Colorado. When you don't have a mentor readily available, reading what a "local" has to say every month is nice. The content in between? Over the course of the past year, I bookmarked just 3 articles for future reference. Want to take a closer look? Ask the Circulation Manager for a free sample issue of Bee Culture here. For a sample of ABJ go here. Both magazines run about $25 for a year, which isn't a lot but could mean the difference between buying that honey refractometer or not. If you call to subscribe, you can get a 20% (?) discount by telling them you belong to a bee club. I don't know if it works for renewals but I will find out for sure. Leave a comment if you want to know the answer. poke poke. I've got an archive of actual magazine up for grabs. Bee Culture January 2011–January 2012 and American Bee Journal February 2011–January 2012. You pay for postage, and they're yours. Email if interested. Hmm. I've never read either one, but maybe I'll see if the library has them. You're "urked" by spelling errors, eh? Good one. @Kitt Ooh, busted! Wish I could say I did that on purpose. I've been subscribing to Bee Culture for about 3 years, and I always find some kind of thought provoking article in each issue. An article in BC convinced me to try checkerboarding, for example. Yeah, the editing isn't the greatest, but I think, for intention, they more than make up for it. And I like Kim Flottum. He keeps me up to date with the bee world and obviously loves bees. @Mil I met Kim Flottum at a Denver Bee Club meeting a couple of years back, and he signed my copy of The Backyard Beekeeper. I asked him to make the inscription out to "my girls," to which he replied, "What are their names?" I've never named a queen, let alone 50,000 girls! @HB He seems like a likeable and funny guy. So do you! Happy holidays.